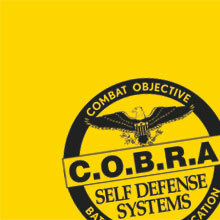 Our 1-Day Survival Camp is 4 hours of extensive training in the best self-defense system available. As a condensed version of our 10-Week Academy, this camp will hit on vital training methods that could truly save your life. Every day, we live among danger. but until it happens to you or someone close to you, it often goes undetected. Everyone knows that bad things happen to good people, but most just don’t do anything to learn to protect themselves. It is common knowledge that “awareness” itself is key in avoiding a dangerous situation, and I have had so many people tell me that they remain “aware” when out and about,, and this is good. However it doesn’t always keep criminals from doing what they have set out to do, so it becomes necessary to know how to protect yourself beyond awareness. Sign up now and take any of our martial arts and fitness classes FREE until class starts! Only 20 spots available. First come, first served.